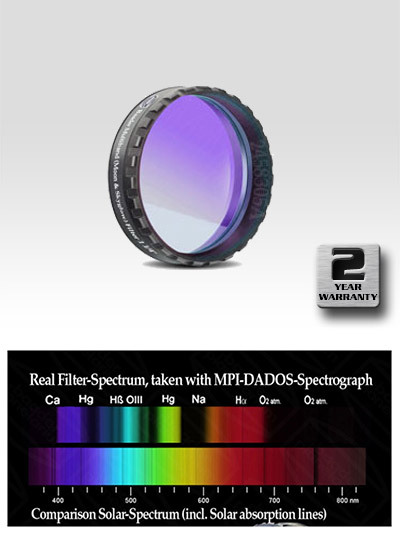 The best visual and photographic filter for contrast enhancement for all Newtonian and SC-mirror telescopes, we have ever offered! Brighter and sharper than ever! Long a dream for all CCD users, our Skyglow & Moon filter with IR Cut coating !! The filter effect is much more neutral in colour and much brighter thanks for our Phantom Group Coating. If you want to escape a city brightened sky - without taking a trip - the new IR Moon & Skyglow filter is the solution.